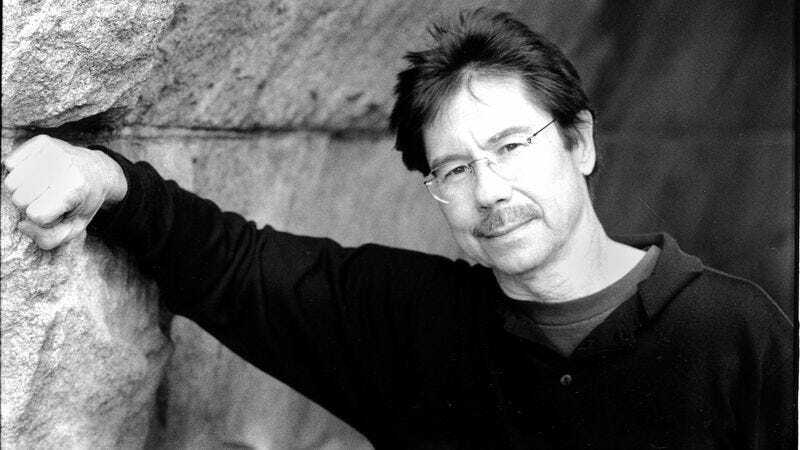 The reader: Chicago author and poet Stuart Dybek has achieved cult status over his 40-year career, winning achievements such as a MacArthur Grant and the Pen Malamud without the same name recognition as other awardees. But the lack of limelight isn’t slowing him down: On June 3, he released two separate collections of stories, Paper Lantern and Ecstatic Cahoots, which share settings and themes. When The A.V. Club asked Dybek for a Reading List, he presented five very short stories, each one centered on a particular object or image. Stuart Dybek: Well, the title, on several of these, gives away the strategy immediately. With Lydia Davis, you’ve got a very domestic, everyday title: The Sock. Jumping ahead just for a second, for the sake of comparison, the exact same strategy is being used by Primo Levi in A Tranquil Star, but in terms of the title, we’ve got this everyday, little nondescript thing called The Sock, and in his piece we’ve got A Tranquil Star. So it seems like there might be this enormous difference between the way the two pieces are approaching the object they’re about. But as different as a star and a sock are, they’re being used for the same purpose by the writer. That sock is going to funnel all the history of this relationship into this particular image, as is the star. The A.V. Club: Is there something intriguing, that in this particular story the object Davis uses is a discarded piece of clothing that is itself so flimsy and small? SD: The sock doesn’t intrigue me in and of itself. It’s the fact that the entire story of the relationship is organized around it. By the end of the story, it carries quite a lot of emotion, which seems for me to kind of come out of nowhere. Of course it doesn’t; it comes out of the beautifully devised skill behind the story. T.S. Eliot has this very fancy-sounding phrase called an “objective correlative.” The word “object” is in the first part of it. So the object in this story would be a sock. The object in A Tranquil Star would be a star. Correlative means something that stands in for something else. What Eliot says is that—I think it’s in his essay on Hamlet—one of the ways writers approach emotion, get emotion into a piece, is not that they name the emotion, because if you do that, there’s a very reductive element about it. If we say someone’s lonely, it doesn’t say anything about the five hundred, five thousand, five million ways you can be lonely. It only gives us a word for it. What art does is give us the refinement, all the shades of meaning, of emoting, that we don’t have language for. What fascinates me about that is we’re talking about an art form in which your medium is language. It’s almost a paradox that you’re seeing. I want to give you emotion, that if I just relied on diction, I wouldn’t have language for it. I feel that very strongly in Lydia Davis’ story. At the end of that story, that sock is carrying so many meanings, so many shades of meaning, that only a story could give you. It’s one of the points of writing fiction: It takes you to shades that do, in some ways, exceed language. What’s going on here with these objects is that they’re pictures. And the old saw about a picture being worth a thousand words is true when the medium is words. AVC: The idea of a plurality of meaning behind objects is something you worked with deliberately in Ecstatic Cahoots. Objects or phrases appear in one story, then again in the story following, in completely different contexts. SD: Yes. Several of these stories that we’ve read here use a kind of a counterpoint. In “The Accordion,” first we get this historical, almost cinematic, view of the assassination of the Archduke Ferdinand that’s going to trigger the entire First World War, and all the horrors of the modern age. Then, suddenly out of the blue, the accordion, which is the object that Hemon’s using, is redefined. And, in fact, we’re told in a kind of metafictional way, that the story of the Archduke and his relative playing the accordion maybe aren’t as allied as we were lead to think. So what’s going on here is a kind of counterpoint. Not in the way that classic Bach uses it, but where one part of the image is being played off another part of the image. That notion of counterpoint in writing has always fascinated me. I kind of felt my way into it, not that it isn’t all over the place in other people’s work. Part of the pleasure of reading is that the author writes in a way that you’re not aware of the technique that’s going into it, you’re just absorbed by the story, or poem, or whatever it is. In my first book, Childhood And Other Neighborhoods, I had a bunch of stories that were realistic, set in Chicago, and I had a bunch of stories that were unrealistic. I realized that if I staggered them, I’d have an interesting effect of going from a realist story to a fantastic story, but both set in the exact same neighborhood. I didn’t really know, once I put those side by side, what would happen, but I knew something would happen. Say I put the image of a gun and the image of a bird side by side, and I hung them in a gallery, and then I gave it a title: “Tweet.” One, as a viewer, would try to fill in the blank between them, to figure out the relationship, or “what does this imply?” That’s just the way the human mind works, and it allows a writer to travel really fast on the page, because it’s the reader doing a tremendous amount of work. They’re not just a passive viewer; they’re collaborative artists. It gives the viewer an opportunity to do all this connecting. So, getting back to Childhood And Other Neighborhoods, I’ve got a realistic story and an unrealistic story, and I’m giving the reader a bit of a hand, given that they’re in the exact same neighborhood. Then you just kind of allow what’s going to happen to happen. Rather than feeling that every moment you’ve got to exert this enormous control, you can take the attitude that your job as a writer is not to control everything, but to set things in motion. Once I did that, I was attracted to counterpoint. I did the exact same thing in The Coast Of Chicago, though there, instead of staggering realistic and unrealistic stories, there are these little vignettes, with longer, more conventional stories. One of the influences for that was Hemingway’s In Our Time, where he’s got these little italicized vignettes and more conventional stories. It always seemed to me, all these years later from when he wrote those stories in the ’20s, they’re still enormously fresh. In putting together Ecstatic Cahoots, I was looking for ways to create little counterpoints, and if one of the ways was an image in one piece, I could put it in another piece beside it. For instance, if flies seemed to be flying around in one story, I could follow it up with a piece called Flies, even if they didn’t have anything to do with each other, in a way. It was offering the reader a kind of opportunity to get more resonance out of that image. I don’t know how well it works. In my mind, you don’t have to control everything. I’ve taught writing a long time, and I think every writer still remembers the process they’ve gone through, and continue to go through. It’s a deceptively complicated art form. One of things in younger writers, which is wholly to be expected, is that they labor mightily to exert control over their materials. God knows one wants to be able to do that, because the alternative is chaos, and often with chaos comes a lack of publication and a lot of rejection. [Laughs.] But at the same time, as you write longer and you work your way into it, there’s almost a contrary thing that I want to surrender to the story. I want to feel, rather than I’m the boss and in full control, I want to be running with it, and let it go. I want to write a story that’s mysterious to me, that’s smarter that I am. If I’m trying to give you the answers to something I just wrote, it’s failed in some way. The writer can talk about intention, but that’s a very different thing than saying exactly what the story or the poem means. Which is why in great works of art—classic works like Shakespeare, or modern works like Kafka—there’s no problem with someone writing an essay called “Kafka: A Jew Of His Time,” “Kafka The Christian,” “Kafka The Existentialist,” “Kafka The Male Chauvinist Pig,” or “Kafka The Feminist.” With a great writer, you can keep finding meanings in the work. And one of the ways a writer can get at that is creating a lot of resonance. AVC: Do you see “The Accordion” as exemplifying both the counterpoint and the object having all these different meanings? SD: Well, it does indeed. That book is strongly influenced by the ideas of metafiction: that what goes on the page is artificial, so you can play with it. And that’s what Hemon does with it. He kind of gets into the spirit of the story, and leaves you feeling at once the genuine emotion of the piece, but at the same time, at least speaking for myself, the plasticity of the material he’s working with. Not every writer takes that step into making part of the story about the actual telling of a story. “The Sock” doesn’t do that. It isn’t that Lydia Davis isn’t interested in that, or doesn’t do it in other stories, but in that particular story, you stay within the art of fiction. AVC: “A Tranquil Star” also shines light on the artifice of telling a story. SD: Absolutely. In fact, when I picked these out, I didn’t want them all to just do the same thing. I wanted them all to do the same thing, and while they were doing it, take off in other directions as well. I think it’s very clear that Hemon and Primo Levi are doing something similar. The vast part of the story is about the star, and it’s got an expository feel. The narrator gives you the history of stars, and so forth. You get a little bit of science in there, and, given that he was a chemist by profession, he’s always managed to do that in one way or another. But you can feel a gearshift at the end of the story where he throws it into fiction. He moves to a fictitious astronomer, who got a little glimpse of this enormous nova that the star has gone into, and the effect it’s going to have on a family outing. All done in a paragraph. That’s how he chooses to end: The story goes from the expository mode to the narrative mode. Hemon uses a very similar device, except instead of the science of a star, we’ve got history, a historical recreation of the Archduke and Duchess. And then at the end, there’s that gearshift. Closure in both those stories comes from that dramatic gearshift. The thing that I thought was brilliant about these stories is you can talk at length about them, but they’re really short. All the stuff they’ve managed to do is in this tiny arena, in terms of page length. In terms of effect, here’s Levi, writing about the universe, and here’s Hemon writing about one of the greatest events in modern history, European history. All this is going on in three to four pages. SD: I’m a massive fan of Yasunari Kawabata. I’m a fan of all of his novels. I’ve read everything available to me in translation. I think that piece is as good as anything he’s ever wrote. If somebody asked me, “Name one masterpiece of flash fiction,” that might be the first one I’d name. That kind of stood behind the choices I made in this particular conversation we’re having. I used to teach at a place called Warren Wilson. The students were great. They’re all adults. Most of them have professions and families. That’s one of the reasons they were taking that degree: Their lives didn’t allow them to go into a conventional MFA program. They’re great to deal with. I’m giving this little talk, probably about image, and I began reading this piece, just to share with them. And I suddenly hit the end of it, and I got so choked up I couldn’t continue to read. I was embarrassed. The point wasn’t to stand in front of a class and display your own emotive reactions to a piece of reading. But I was just ambushed by the piece. We were talking about “A Tranquil Star” and Hemon’s story, and how both those writers use a similar gear change for closure. Primo Levi jumps out of the universe into the particular, and Hemon jumps out of history to a very particular thing about his own background. That’s not what Kawabata does. What he does is suddenly jump into an imagined future. There’s a flash-forward for these two children, whom he really knows nothing about. One of the things that fascinates Kawabata about images, he does this over and over in his work: He’s more fascinated by the reflection of an image than the image itself. In the novel Snow Country, one of the most beautiful parts of the book isn’t that someone is actually looking at a woman’s face, instead someone is seeing the reflection of a woman’s face on the window of a train. It’s that reflection that is kind of mystifying. You’ve got that exact same thing going on here. I feel that he hit his wheelhouse in “The Grasshopper And The Bell Cricket” when he creates the very complicated image of names cut out in paper lanterns reflecting off the bodies of two children. If you think about the image, it’s very ephemeral, which is true of the Primo Levi image. In one part of Levi’s story, we see that it’s one gigantic, planet-eliminating nova. At the end of the story, it might or might not be there on a photographic plate. In the Kawabata story, the image of the name and the light is very vivid, but it isn’t something you could grab, hold, and touch. It’s wholly ephemeral. That ephermeralness becomes the engine for the flash-forward. In the flash-forward, the narrator ascribes to these innocent, happy children an adult future, which is melancholy, disappointed. What goes on in that moment is that we know those children can’t have lived that yet, and that the feelings that are being described are feelings that are being lived by the narrator. So, at the end of that story, it’s as if the disappointments in the narrator’s life are now being reflected off the children the way the light of their names is being reflected on their clothing. The story never has to explain that to you. If you want to take one step beyond it, you realize that as you age, how you define things, how you see them, how you draw conclusions about them, are actually reflections. That’s all crammed into this teeny tiny story that has, in some respects, elements of an Aesop’s fable. They are all animal fables, and the way the animal fable works is that it has a moral at the end. The grapes were sour. The crow drops little pebbles into vase so it can raise the water level to where it can finally drink. Kawabata has done the same thing in this story, although the moral is far more complex. The simplicity that is shot through Japanese aesthetics, whether its eating sashimi or going through a rock garden, you feel it all through this story. SD: One of my favorite writers is John Cheever, and one of the things I love about Cheever is that he was one of the real American fabulists, coming out of an entirely realistic tradition. The New Yorker really wanted him to keep writing those brilliant realistic stories about ad men on Long Island and so forth. Cheever reached the point that to take full advantage of his talent, he needed to move in other directions as well. I always use two stories of his in my classroom. One is “The Enormous Radio”—there’s your object. It’s about people who buy this radio, and it broadcasts all the arguments and problems that are going on in other people’s lives. The other, and one of my favorite American short stories, is called “Torch Song.” In “Torch Song,” there’s not an object, there’s a person, a woman who seems attracted by death, and might even at the end of the story be the figure of death, though we never know. It could just be the consciousness that the story is told through has gone crazy, or started to see crazy things. Most of these stories have such clear objects: there’s a sock, there’s an accordion, there’s a gigantic tranquil star, and there’s a bell cricket, and a grasshopper. So I wanted to throw in one story, Jamaica Kincaid’s “At The Bottom Of The River,” in which we had that notion of image, but the image is not an object. The image in the story is night. In a very short setting we get a litany-like meditation on the whole idea of what is night. It’s still, nonetheless, treated not just as a theme, but as a thing. It just fascinated me. Plus, I love her writing. I think she’s just a brilliant stylist. If you put these stories side by side and said “Pick Jamaica Kincaid out,” I think it would be the easiest. There’s just something about the way she writes; nobody else writes that way. It’s almost like hearing The Beatles on the radio, or Elvis Presley, or James Brown. You hear five or six phrases, and you already know that’s Elvis. She’s got that kind of voice on the page. Here, the relationship between that enormous ear for prose rhythm and the fabulous ability to create an image come together in a beautifully lyric piece. All these stories are lyrical in a way, but this might be the most overtly lyrical of the bunch. I mentioned I borrowed “objective correlative” from T.S. Eliot. One of the things Eliot says in another essay is something to the effect of “Reader, keep in mind when a writer writes about, or in this case talks about, other writers, they inevitably are talking about and defending their own work.” I think there’s certainly a modicum of truth to that. I had a story called “Nighthawks,” and like the Kincaid story, the object is really night, and the way night changes us, and how we’re different at night, and just the image of night the way that Edward Hopper, the painter, catches so wonderfully. I was obsessed with the notion of the nocturne, which is one of the few things I know can easily go from art form to art form. It’s not always that easy. Chopin wrote nocturnes. Painters paint nocturnes, and [Hopper’s] Nighthawks maybe being the best of the bunch. Writers like Kincaid are really writing nocturnes. And before I changed the title to “Nighthawks,” I’d called it “Nocturne” as kind of an homage. What happens with Kincaid is that you start off with this great imagery of night before she puts in variations. There’s maybe three or four, maybe even five little versions of what night is here. First you’ve got the night-soil men, who at the end of the piece are going to turn around and make her father into one of them. Then she’s got an image of a vampire-like night spirit. She goes through these variations of minor stories that have to do with night, and she has an entirely different way of closing than any of the other stories. I was really looking for one that was at once the same and really rather different.